What Kind Of Outdoor Pizza Oven Should You Buy? Adding a pizza oven to your outdoor kitchen is a growing trend. 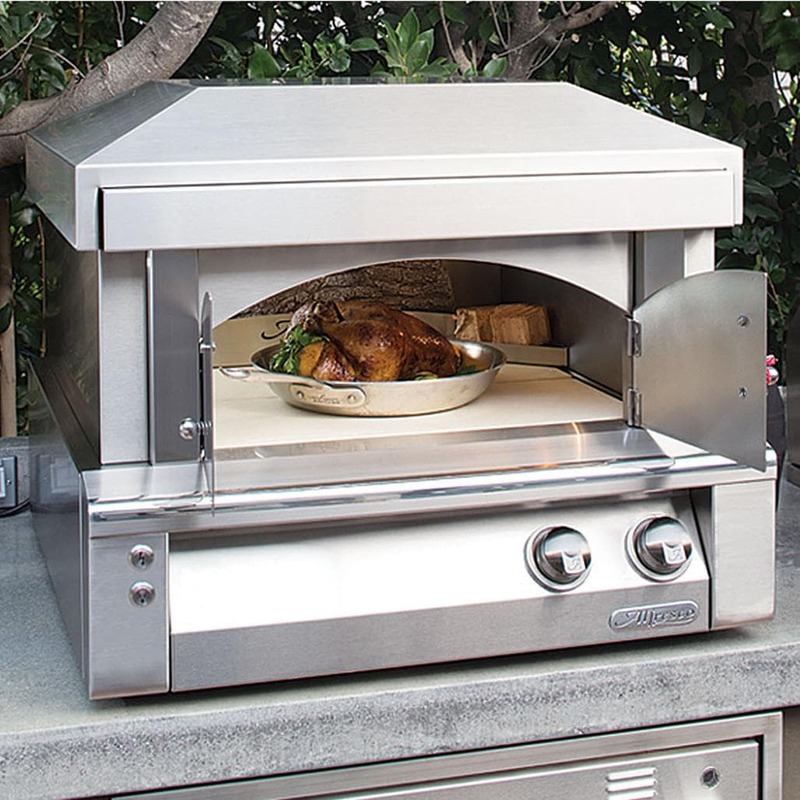 Outdoor pizza ovens have gained popularity due to their quick cook times, cooking versatility, and ease of use. A pizza oven also allows you to put a twist on the classic barbecue, by treating your friends and family to piping hot pizza made right in your backyard. There's nothing like having your own pizzeria, just steps away. 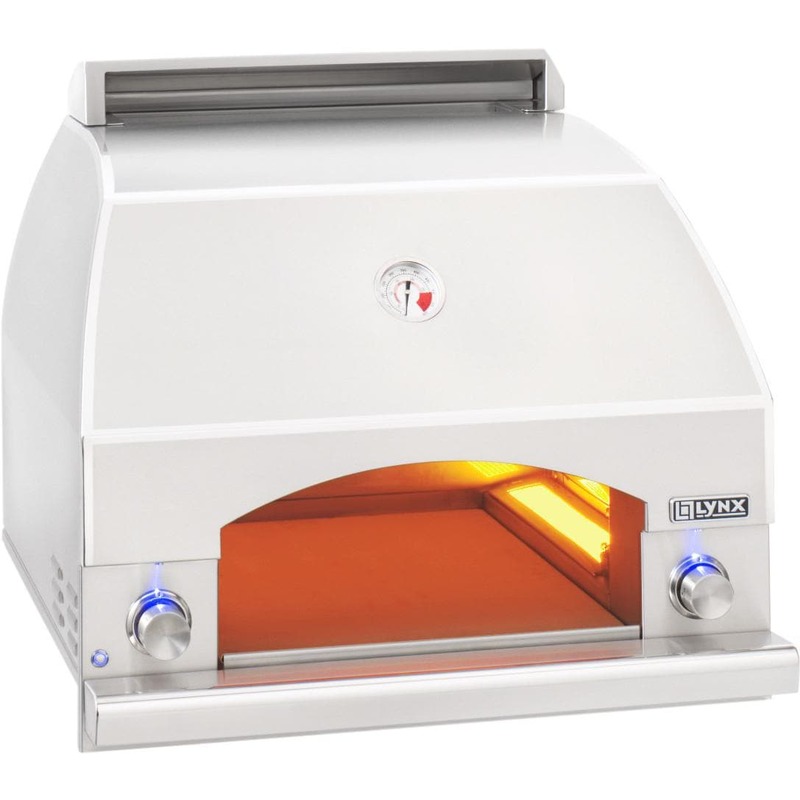 What many people don't realize, is that pizza ovens are also great cooking any types of food, from searing steaks, to roasting chicken, to baking cookies. To help you find the one that best fits your needs and budget, we've composed this list of the most popular pizza ovens based on three categories, to help you learn the differences, along with the best models available. 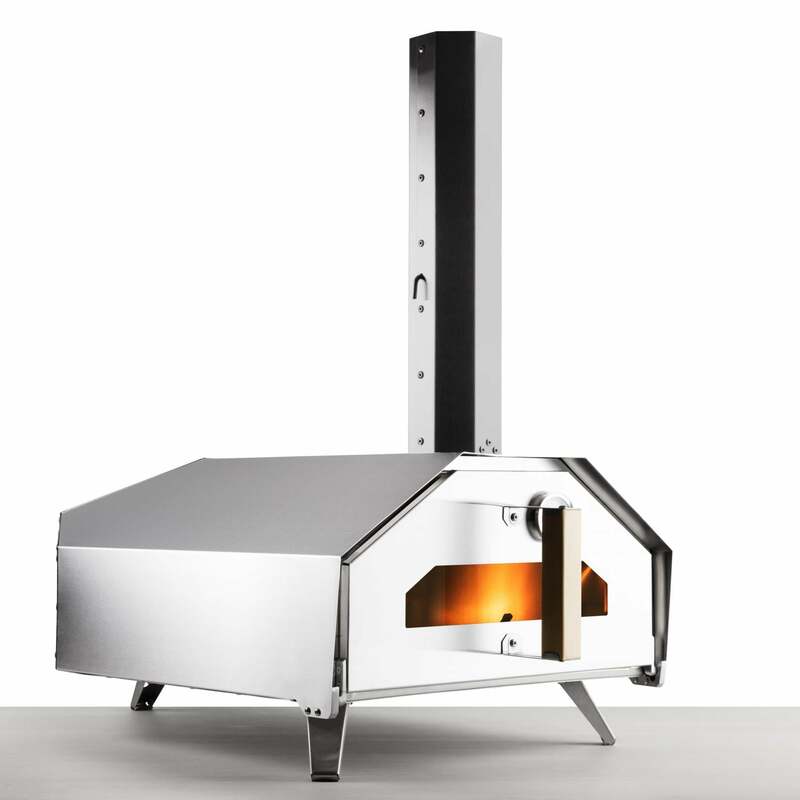 Size - Outdoor pizza ovens come is all sizes, from small portable ovens that cook one pie at a time, to larger ovens that can cook multiple pizza at once. When looking for a pizza oven, you'll need to consider the size of the cooking surface to know what size pies you'll be able to bake. Durability - The construction of a pizza oven should be a major factor when shopping. 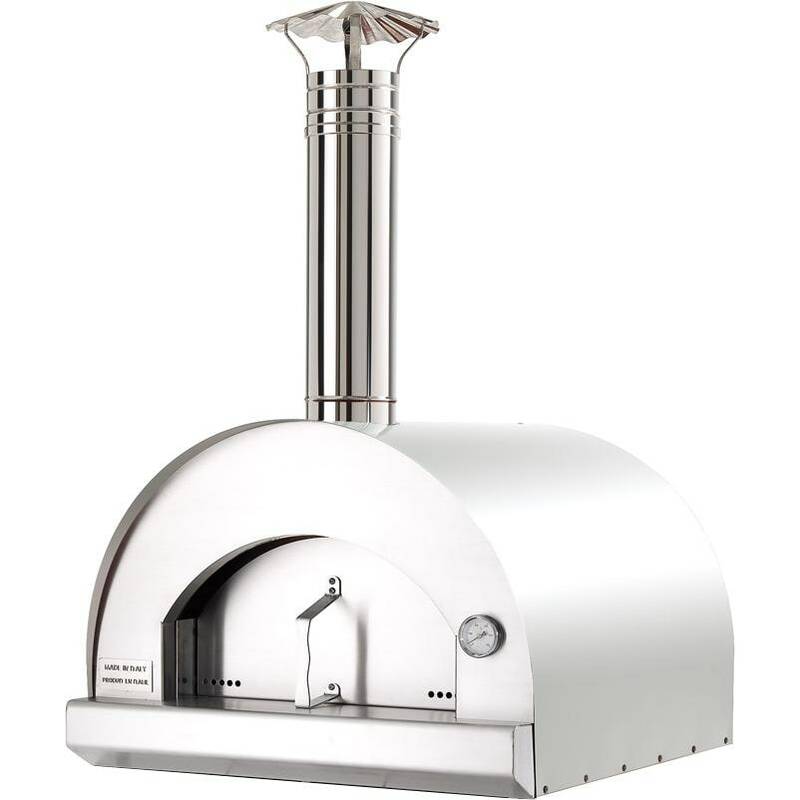 That's why it's important to consider pizza ovens that are built with durable materials such as 304 stainless steel. You may pay more up front, but will enjoy better performance and longevity in the long run. Performance - Cooking performance is determined by a number of factors, such as fuel type, shape, material, temperature range and more. 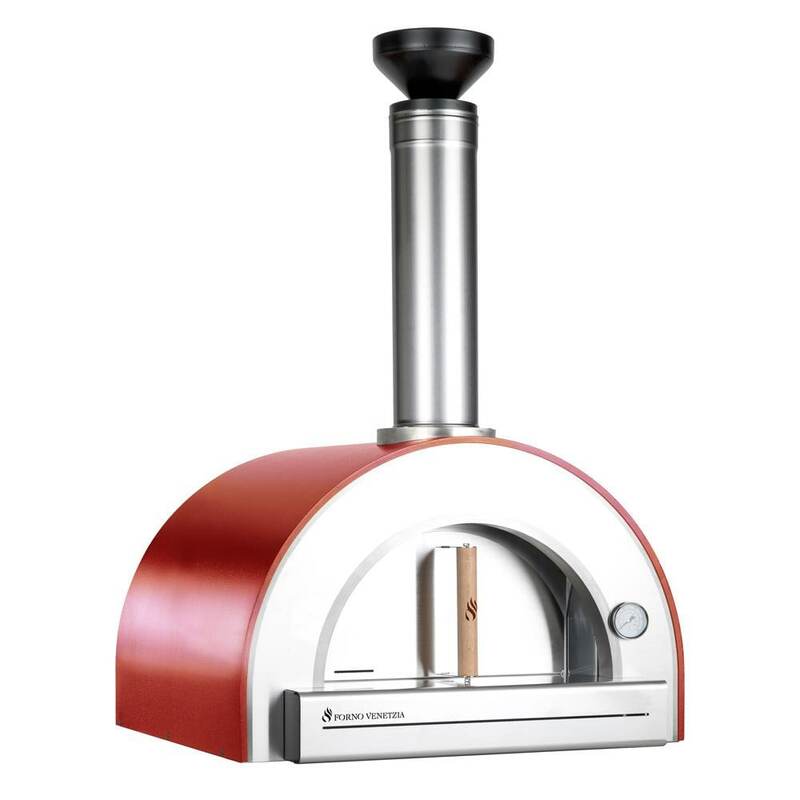 Some pizza ovens can preheat in just minutes to over 1,000 degrees, giving you the performance of a commercial pizza oven. While all of the pizza ovens on this list are considered residential, we are proud to say that any pizza oven on our list will produce pizzeria-quality gourmet pizzas that your guest or family will love. 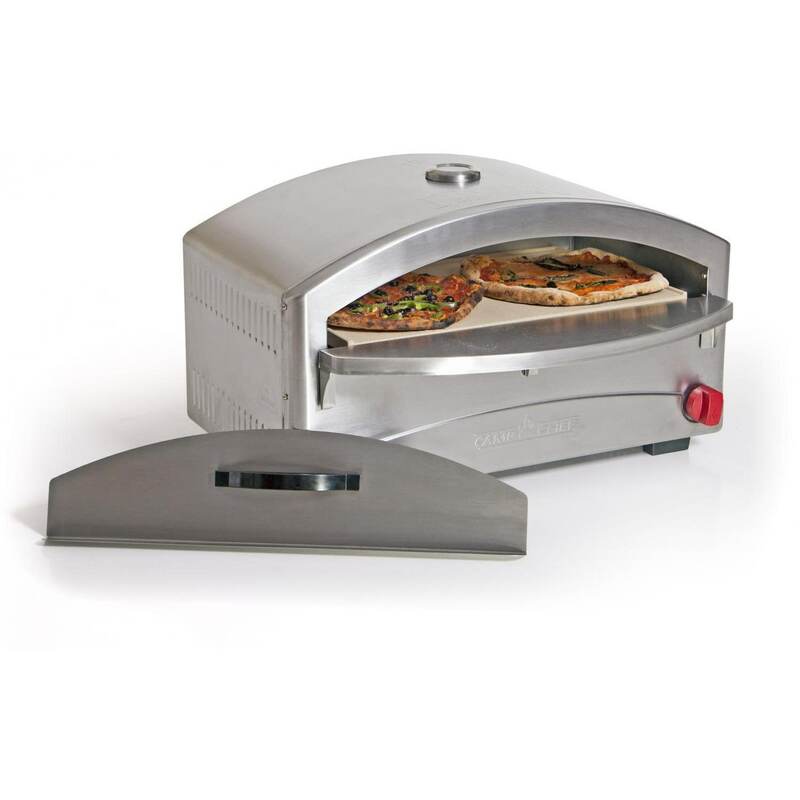 Gas pizza ovens are easy to operate and very convenient. Just turn-them on, let the oven preheat, and you'll be ready to cook in no time. 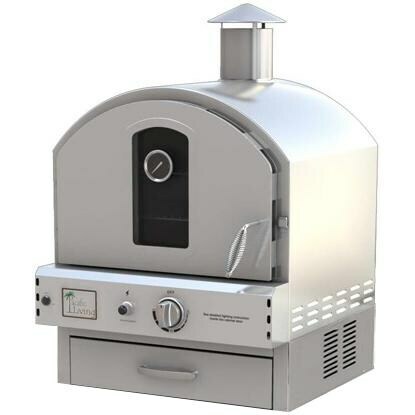 These gas pizza ovens are available in propane, or if you're planning to install a pizza oven in your outdoor kitchen, a natural gas line can be plumbed to your built-in pizza oven as a very economic fuel source that is hassle free. 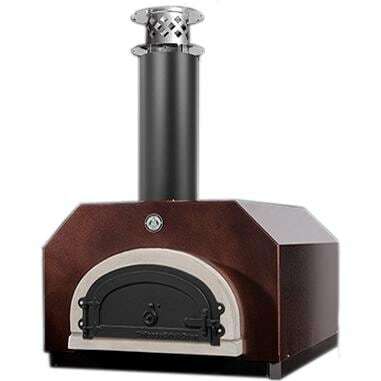 Wood-fired pizza ovens use hardwoods or even flavored pellets that deliver a rich, smoky flavor to your food. Wood-fired ovens are known for reaching temperatures over 1,000 degrees, that deliver that authentic wood-fired crust on your pizza. For those who love to travel, tailgate, camp, or just looking for a more compact outdoor pizza oven for your outdoor space, then a portable pizza oven is a great option. 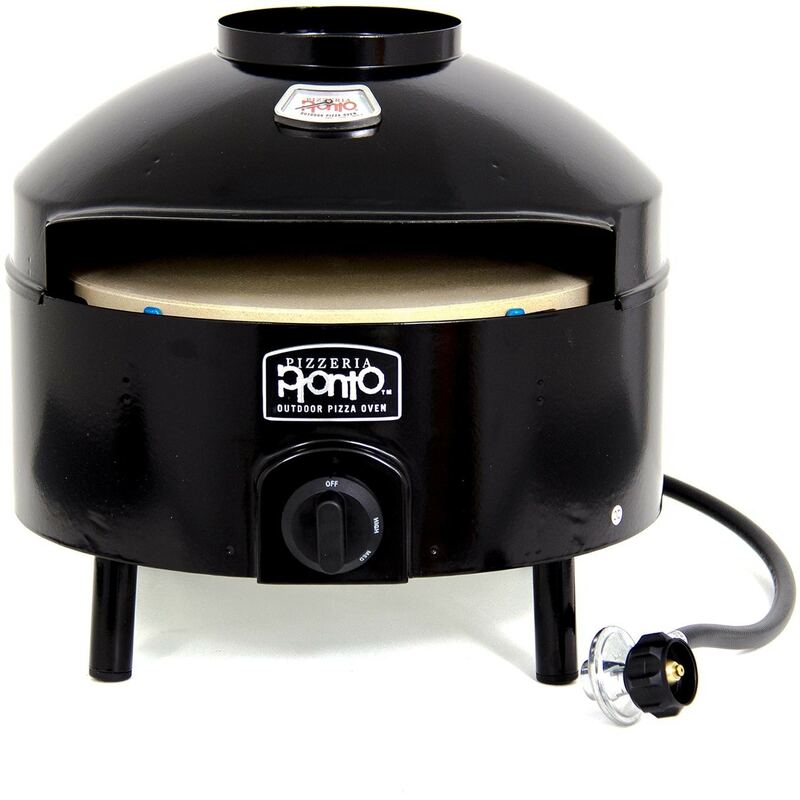 Portable pizza ovens are available in all fuel types, and are light weight, allowing for easy travel and fresh-baked pizza any time, anywhere.